Issaquah, WA, Nov. 01, 2014 – Bicycle Adventures http://bicycleadventures.com/ is wheeling into the active family travel market with a new-for-2015 Family Tour Series. This Pacific Northwest-based active travel company specializing in two-wheel tours in North America and internationally offers three new family options on vehicle-free bike paths in Idaho, South Dakota and Seattle. “What sets us apart? 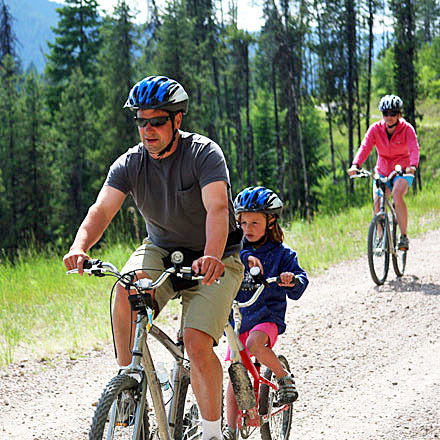 The most exciting thing about our family tours is is that all of them are on safe, car-free bike paths. 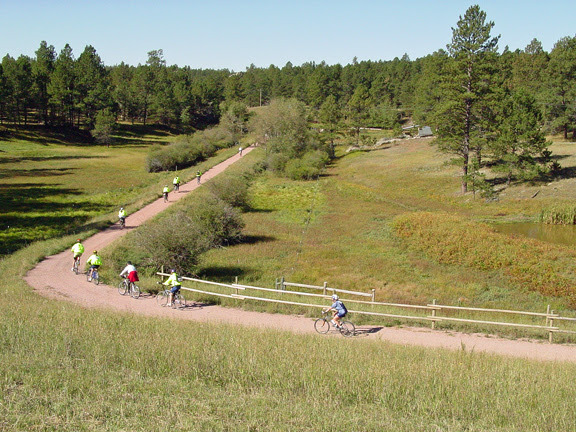 The routes are super-fun, incredibly scenic and safe as can be,” said Todd Starnes, Bicycle Adventures’ President and Owner. He said his staff can arrange to accommodate infants and toddlers in trailers; children as young as four can participate in pedaling special tag-along bikes attached to the back of a parent’s bicycle. Equipment is provided by the company. 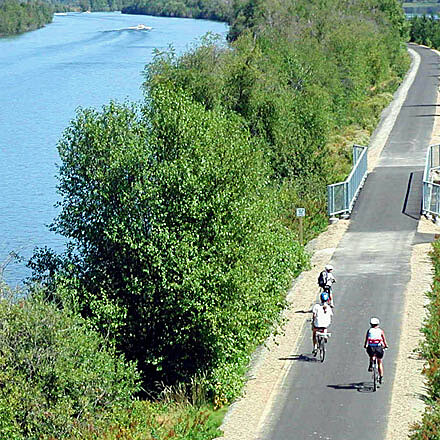 Idaho’s Coeur d'Alene Family Tour: Two of the "best paved bike trails in the U.S."
- says Bicycling Magazine are the Trail of the Hiawatha and the Trail of the Coeur d'Alene. Guests ride through tunnels and over trestle bridges and even take a chairlift to the top of a mountain and ride bikes down again. There’s rafting on the Clark Fork River and a side trip to Silverwood Theme Park. This five-day program is $2,295; children’s discounts are available. Departures are June 29, July 13 and Aug. 17. http://bicycleadventures.com/tours/family-bike-tours/Coeur-d'Alene-Family---NEW! astonishing area has to offer, from the country's #1-ranked bike path, the Mickelson Trail, to the world-famous Wall Drug to buffalo grazing in the Badlands to playing in hot springs. Families explore a pre-historic mammoth dig and Wind Cave NP (discovered by a bored teenager), rock climb before cycling to Sylvan Lake, the Flintstones' Bedrock City and to Crazy Horse Monument, the largest rock sculpture in the world. Then it's off to Mt Rushmore and a tour finish in the rough-and-tumble town of Deadwood, once home to Wild Bill Hickock and Calamity Jane. A Wild West gunfight is for show and tell. The six-day adventure is $2,395; children’s discounts available. 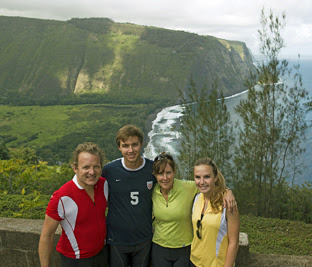 Departures are June 14 and 28. http://bicycleadventures.com/tours/family-bike-tours/Mt.-Rushmore-Family-Tour---NEW! to the Iron Horse B&B to stay in honest-to-goodness converted cabooses. Then they ride the John Wayne Trail through a two-mile bike path tunnel to the summit of Snoqualmie Pass and on to Rattlesnake Lake with a quick stop for rock climbing, hiking and/or a dip. 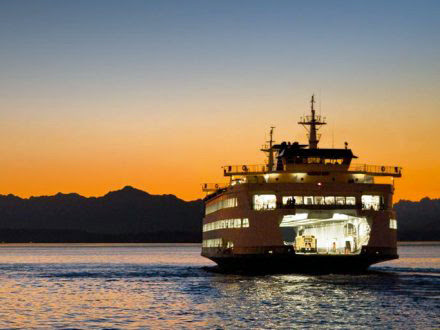 There’s time for a ferry ride and to explore downtown Seattle, Pike's Place Market, the Seattle Aquarium, the Space Needle and pedaling the waterfront bike path. This five-day trip is $2,395; children’s discounts available. Departures are June 22, July 13 and Aug. 10. http://bicycleadventures.com/tours/family-bike-tours/Seattle-Family-Tour---NEW! Bicycle Adventures has offered a special trip for families in the past and will continue its popular Hawaii Family with extra kid-friendly activities built into the tour in addition to hiking, biking and catamaran cruising. Guests may opt for stand-up-paddle boarding or surfing lesson plus there’s plenty of time to snorkel and to enjoy some of the great swimming pools at the hotels when not pedaling quiet back roads and lanes. An ocean-side natural hot spring at Ahalanui Park heated with volcanoes is a big hit with the kids. The per person double rate for six days is $2,660; children’s discounts available. Departures Mar. 29 and Dec. 27, 2015.